Enjoy a wonderful getaway on Lake Glenville. Our Tiny Cabin is located on Highway 107 in Glenville. 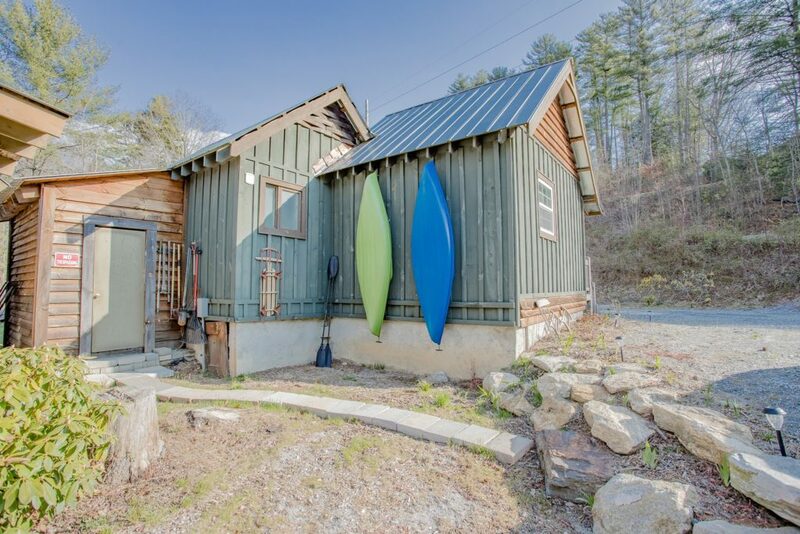 Close to Lake Glenville and the spectacular hiking around it, the cabin is also conveniently located to Cashiers, NC. This cozy, rustic cabin has one bedroom and a kitchen/living area. Perfect for a moutain retreat, we enjoy temperatures that are typically 10 to 15 degrees cooler than much of the surrounding area. For reservations check out our Airbnb page. 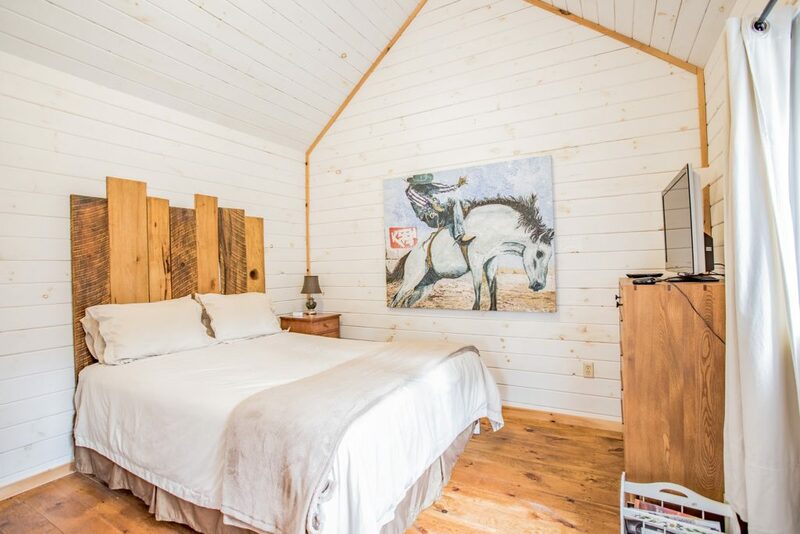 The cabin bedroom has a queen sized bed, a flat screen TV, and a Roku digital streaming device. There is a full kitchen with a refrigerator, stove, microwave. There is also a deck off of the living room for eating outside in the pleasant summer weather. We are only 1.5 miles from Sawyer Family Farmstead wedding venue, 5 miles from Cashiers, and 15 miles from Highlands. Shopping, restaurants, and evening entertainment are all close by. The public boat launch on Lake Glenville is 2.5 miles away. Free use of our kayaks comes with your stay (you will need to be able to transport them yourself). Or you can rent a boat from Signal Ridge Marina. Lake Glenville is a beatiful lake with lots to explore including several waterfalls. Come stay and play on Lake Glenville! These fantastic photos were taken by Sar Sheehan.